My cabinet finally shipped today! So today's a happy day. In the words of Lil John, "Yeeeaaah!" It should be here at the latest Thursday. 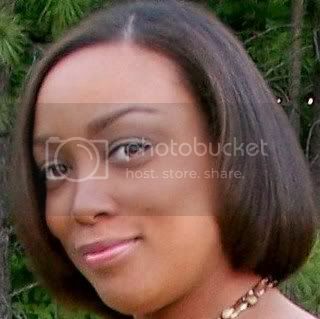 OKaaaaaaaaaY!!!! I've still been perusing the net looking for storage techniques. I came across a couple of nice reasonably priced ideas. 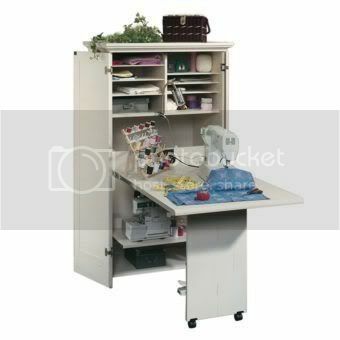 Use a computer table with a lowered keyboard tray so your machine can be level with the table. I had a table like this stashed in the basement, so I tried it out. My machine is not heavy so I don't think I need to reinforce the tray. 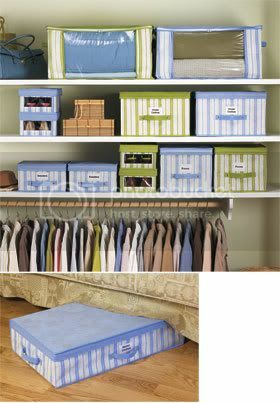 I love this idea because sewing cabinets are soo expensive!! This is actually too large for my space, so I'll hold on to this table in case I get a bigger sewing area one day. Custom ironing table - "Covered with sheets of aluminum foil, then 3 layers of Warm n' Natural cotton batting and the final topping is Silver coated ironing board fabric." I have an old dining table that I used for cutting. 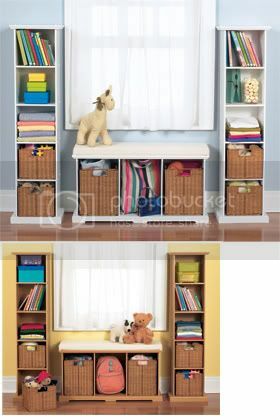 It's stored now, but I'd definitely use this idea if I had a larger room. 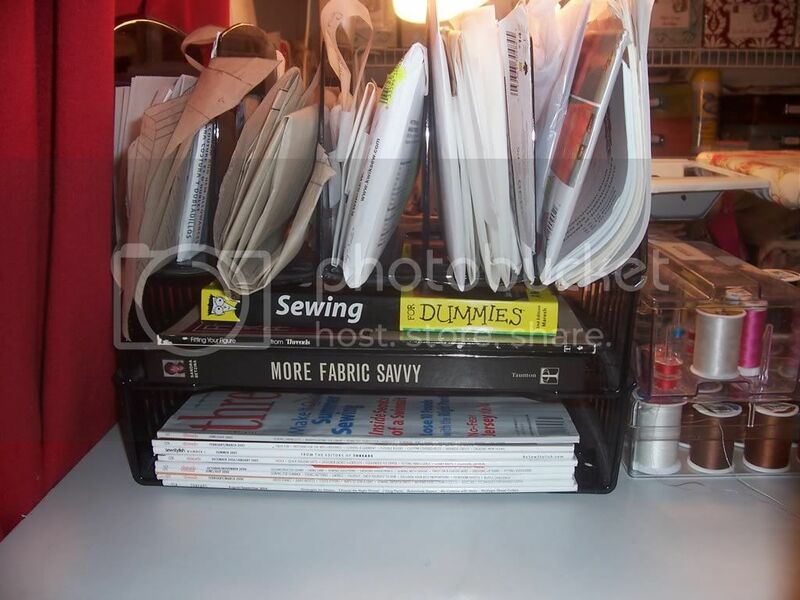 Use a desktop document sorter to store patterns you're currently working on/studying, and for keeping reference manuals (like Threads magazine) handy. 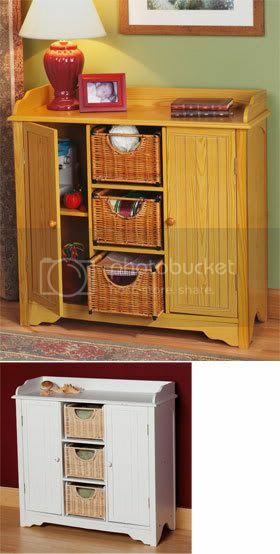 The Lakeside catalog has some really cute inexpensive storage cabinets. I've purchased "furniture" from Lakeside, it's definitely not the sturdiest, but it's good for light use. I love planning new spaces like this, looks like you've found a lot of good ideas. 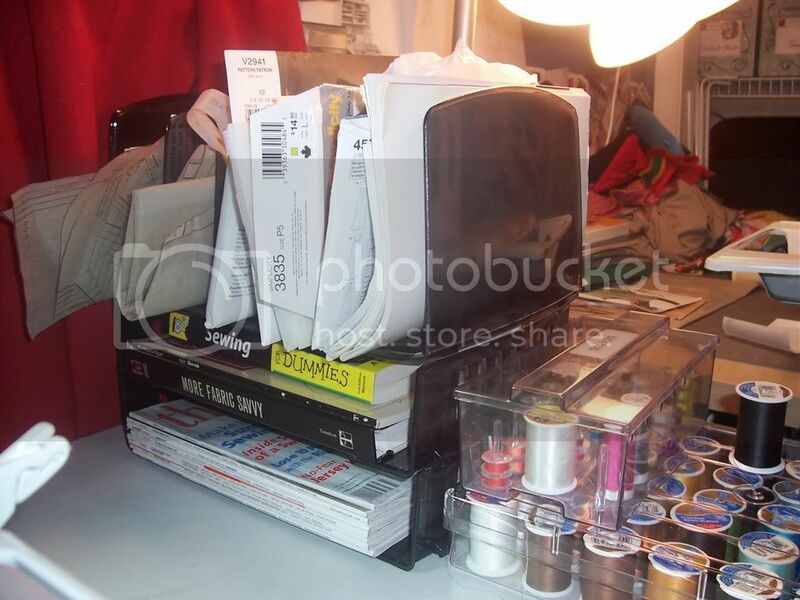 One day I will have a dream sewing room.But for right now I will keep looking in magazines so when it happen I will be ready to design it.Love all the photos you have for sewing rooms. I'd love to make the pressing table. In fact, I bought a length of the ironing board fabric several years ago. But where will I put it? Lots of really nice ideas here. Thanks for the inspiration! 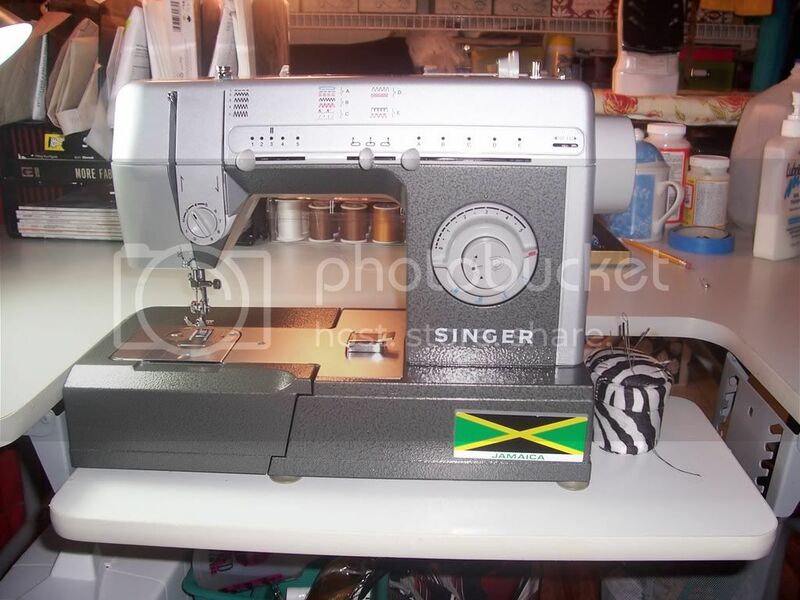 I'm lucky enough to have a dedicated sewing room, but I'm always looking for ways to improve it. 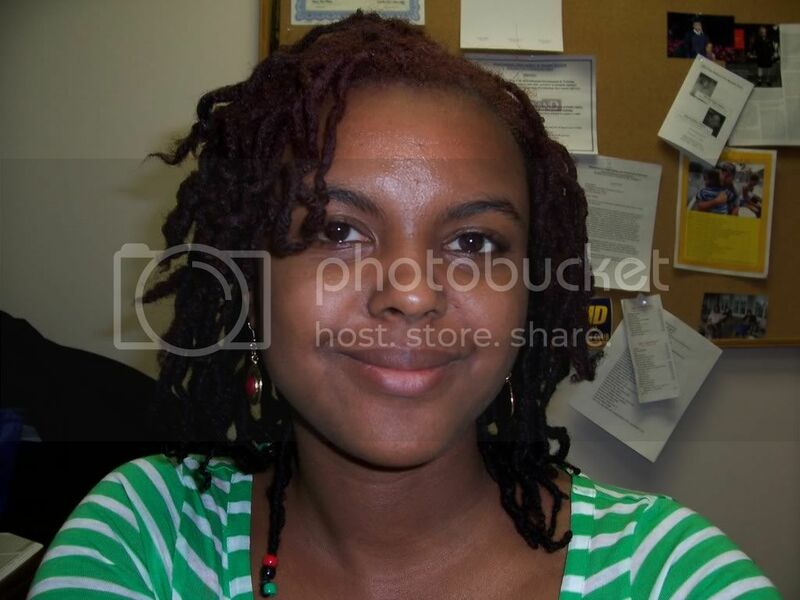 Thanks for posting pics and links. I have a dedicated sewing "space"! You have located great ideas! 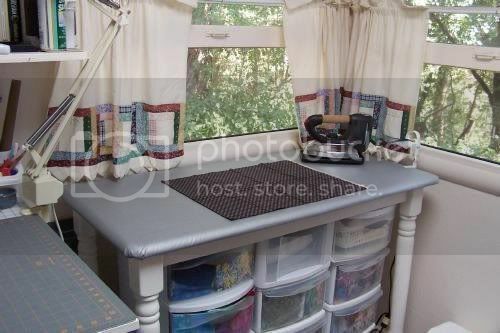 I dream of having a dedicated sewing room that I can shut myself into. I'm trying to make the most of my little corner of the basement.